Discussions in class have been lively lately. The students really enjoyed the documentary: “A Class Divided”, in which Jane Elliott tries to teach her 3rd grade class the real, palpable effects of discrimination. The tragedy that has befallen Attawapiskat really shocked the students and led to a full exploration of the issues. Topics ranged from the “ghettoization of Reserves”; to financial management; to “exponential growth” and population trends. We are in the midst of a short story unit. Some of the all-time masters are on display here. Hemingway’s “Old Man at the Bridge”. Tobias Wolfe’s “Hunters in the Snow” and O. Henry’s “Gift of the Magi”. The Seattle Marathon has come and gone and Streetfront starts to recover. Some exciting projects are currently in place. 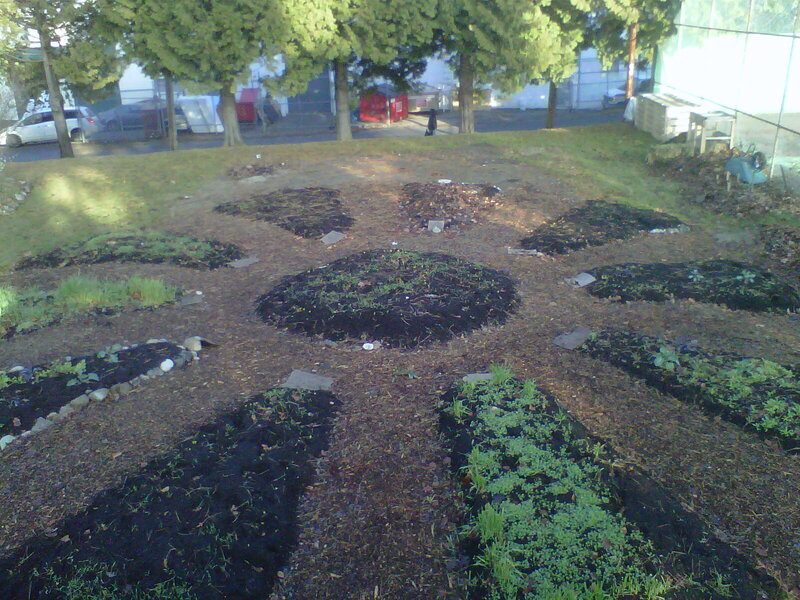 Streetfront has partnered up with the Environmental Youth Alliance (EYA) and Britannia Urban Garden ((BUG) to create an amazing urban garden. The students were involved from initial conception, to breaking the ground, to creating the design, planting the plants and trees and now to stewardship. Its wonderful to see the students have tangible products of their egfforts arise before them. Streetfront is also closely involved in an amazing carving project that will be a fundamental architectural and spiritual component of the new Aboriginal Healing Centre. A 41 foot pool is almost completed and two other 10 feet poles need to be carved. Britannia students will be invited to participate in the design and execution of aspects of the program, as well as attend workshops, speakers forums and student led initiatives. Streetfront’s winter activities will start in the next week. A snowshoe trip to Mt. Seymour and a snow board trip to follow will bring 2011 to a close. A special note of thanks to Barry Skillin and Gord Howey who help make everything run smoothly. Their efforts go well beyond any job description. The success in Seattle is in large part owed to them – documenting; chaperoning; and even running when needed. Special thanks to Crystal Li who also volunteered her time over the weekend.